Flashes & Floaters | First Sign of Retinal Detachment? Flashes & floaters could be an early sign of retinal detachment. The back of the eye is filled with a clear gel called “vitreous.” As we age, this gel can pull away from the retina (posterior vitreous detachment), forming dots, lines, clumps, or cobwebs moving in your field of vision. These are called floaters. As the vitreous is pulling away from the retina, it can tug on the retina causing flashes of light (stars, lightning, bulb going off in your side vision). The flashes tend to go away in 1-2 days once the separation is complete. However, sometimes the vitreous gel pulls so hard causing the retina to tear (“torn retina”). The tear can cause bleeding inside the eye (vitreous hemorrhage) that may cause new floaters. If untreated, there is a very high chance that it can lead to retinal detachment (“detached retina”) and vision loss. Retinal detachment surgery in Orange County can help repair the retinal detachment and restore your vision. Floaters that are not associated with torn or detached retina usually fade over time or become less bothersome. However, some people are so bothered by them that they undergo vitrectomy for floaters surgery in Newport Beach Orange County (Floater-Only Vitrectomy, vitrectomy for floaters, or “Floaterectomy”) to remove the floaters. Orange County floaters doctor Dr Kawji will tell you if you are a candidate after a careful retinal examination. Vitamins, supplements, or vision therapy will not cause floaters to disappear. Migraine headaches can be another cause of flashes but this is diagnosis that your doctor has to make after careful evaluation. 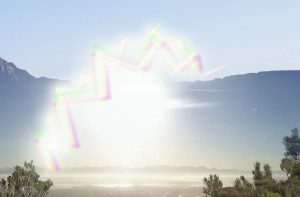 Some people experience flashes of light that appear as jagged lines or “heat waves” in both eyes, often lasting 10-30 minutes. These are not caused by the vitreous gel pulling on the retina; instead, they are caused by a spasm of blood vessels in the brain, called a migraine. If a headache follows the flashes, it is called a migraine headache (classic migraine); otherwise, they are referred to as ophthalmic migraine. If you experience new floaters or flashes of light, or you see a curtain or a shadow in your vision, contact your ophthalmologist immediately. The timely diagnosis and treatment is key to preserve your vision. Diabetic patients with advanced diabetic retinopathy may develop vitreous hemorrhage (bleeding inside the eye). This can present as floaters as well. Patients with uveitis (eye inflammation) can also develop floaters, which may indicate active inflammation inside the eye. This requires immediate attention to prevent potentially blinding complications.